I went off the grid for a couple hours yesterday, to start a new book and enjoy a beautiful (and delicious) cappuccino at a coffee shop in the woods**. While I was reading fiction for fun, more than one person in line made jokes about how the ice and snow the week before must have been a dream, as if it never happened. The reason: our forecast in North Carolina jumped from Snowmageddon to Spring Break in just four days. 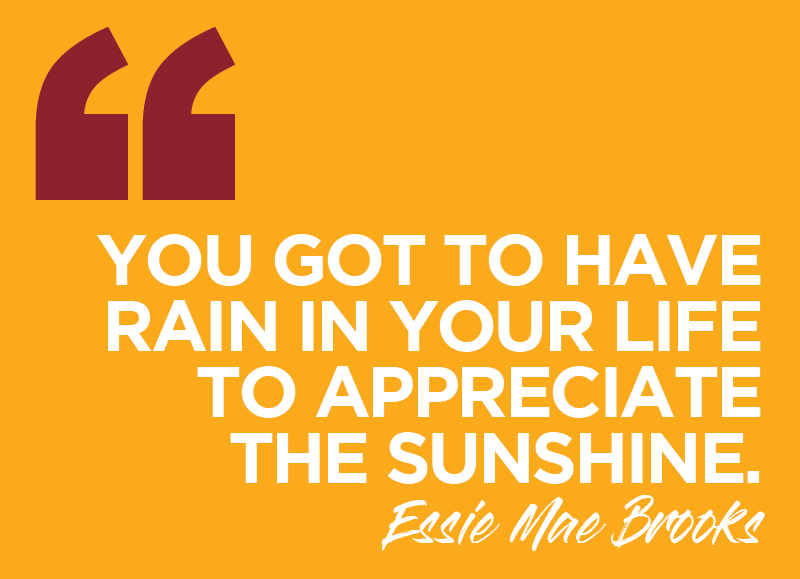 The idea of one experience somehow invalidating another made me remember one of my favorite lyrics (and inspiration) from gospel singer Essie Mae Brooks, an idea that has pushed me to express gratitude for every day and actively practice mindfulness while reflecting on experiences that felt "negative" or did not meet my expectations at the time. With the perspective of appreciation, I've spent a considerable amount of time reflecting on the impact of rain in my life, both as contrast to the "positive" moments and as opportunities for growth. For over 25 years I have been grateful for our Spring Break weather in the middle of January, because of its contrast to each seasonal Snowpocalypse. And I have always appreciated North Carolina snow storms when they happen, for the very same reason. Distance can make gratitude easier, but the trick to staying present in the relationships and circumstances we find ourselves in will be to practice gratitude in real time. I am challenging myself in 2018 to be grateful for the rain, even during the storm, mindful in the moment so that I can fully appreciate the sunshine as soon as the clouds clear (and the snow melts away). ** If you ever find yourself in Chapel Hill, NC in search of a coffee shop in the woods, you should absolutely visit Cafe Driade. Grab a drink, sit, read, eavesdrop. When you're done, head outside for a walk in those woods. You'll be glad you did and, if not in real time, you'll certainly be grateful later.